For 100 years, the rolling hills of Devon have been home to Ambrosia's creamery. 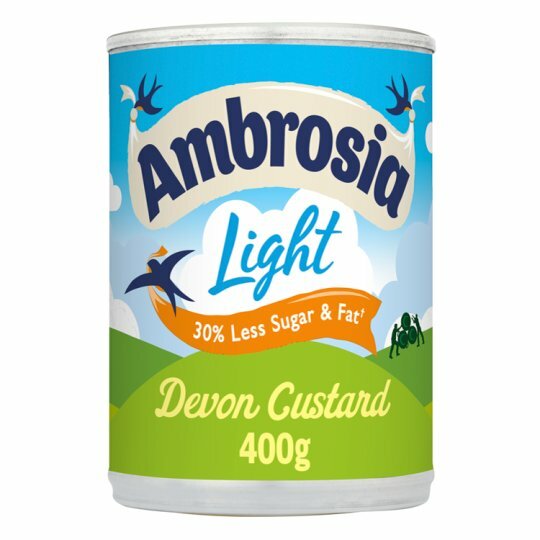 We let nature do the talking and ensure happiness is poured into everything we do so you can enjoy Ambrosia's delicious Devon creaminess. Hob (From Ambient): 1. Empty contents into a saucepan. 2. Heat gently, stir frequently, do not boil. 1. Empty contents into a microwaveable container. 2. Cover, heat on full power for 1 min. 3. Stir, re-cover, heat on full power for a further 1 min. After heating, handle with care. All microwave ovens vary, amend cooking times as needed.